Empire Toys was primarily known for two things, licensed big wheel type vehicles for kids and licensed vehicles for other companies action figures. 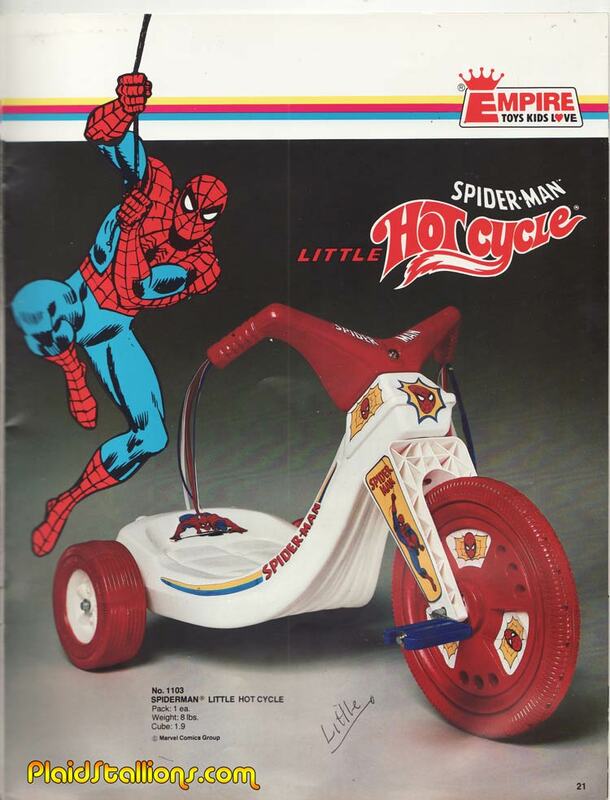 1978 was no exception with Empire licensing characters such as The Flinstones, Batman, Spider-Man and Mickey Mouse into a lot of fun with wheels. 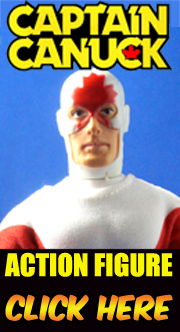 Check out the 1978 Empire Toys Catalog here. 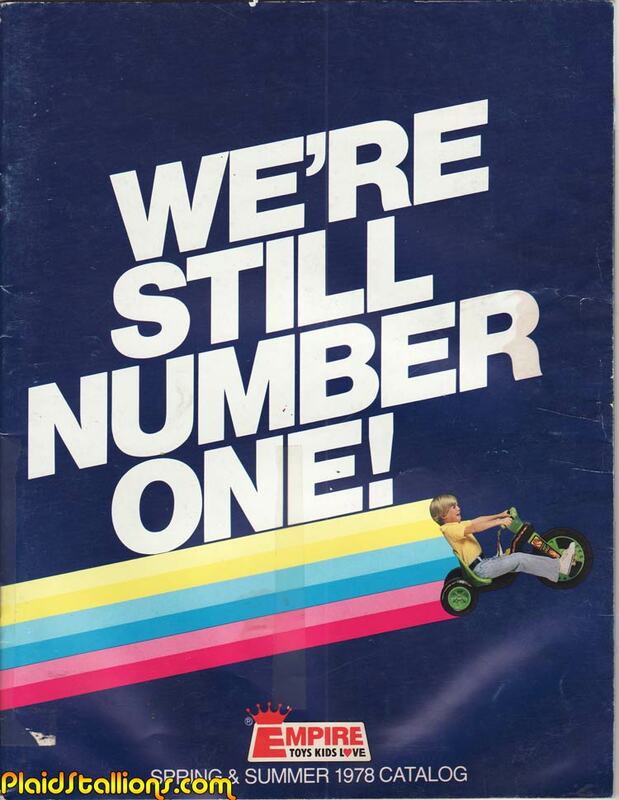 And hey, after that check out the 1979 Empire Catalog from our archive. 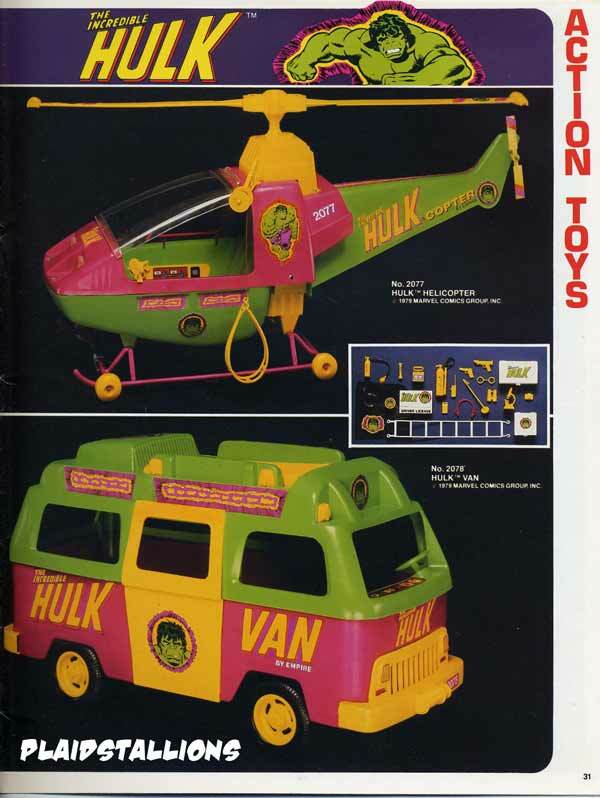 I used to be in the Air Cav, (not as pilot, I pumped the gas) and the idea of the Hulk flying his own private helicopter makes me queasy. That's one ride-along I would have declined! Hey Bert! Hey Bert! Hey Bert!